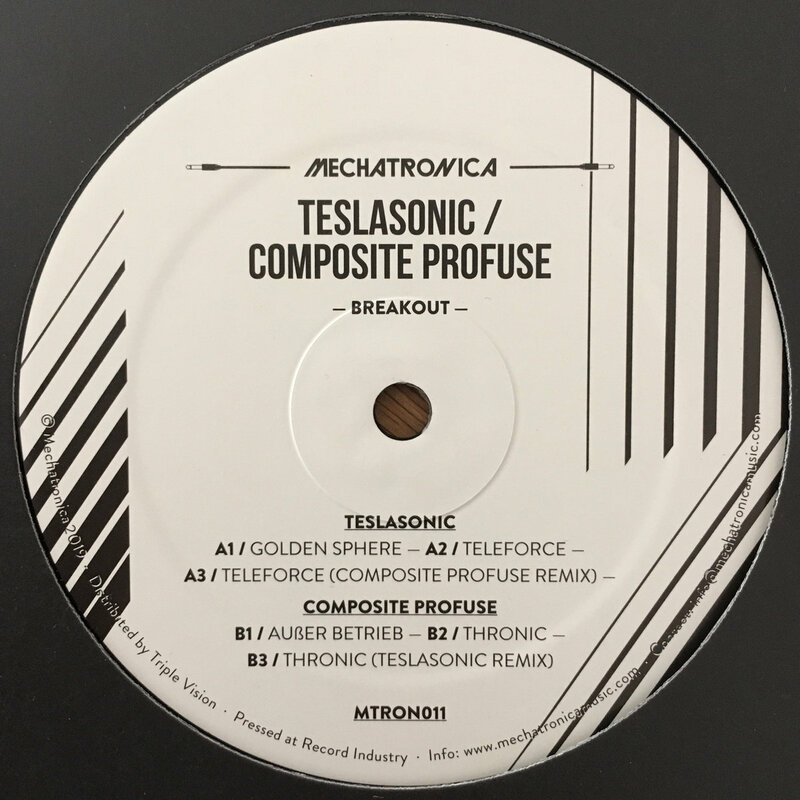 Italian producers Teslasonic and Composite Profuse (aka. Heinrich Dressel) present a powerful and spacious electro record for the 11th release on our main label, splitting each side of the EP and remixing one another to full effect. The Breakout EP is an electrifying journey into their vision of electro, drawing on new inspiration and decades of musical output on a long list of labels incl. Bunker, Shipwrec and Composite Profuse’s own MinimalRome. From the dazzling cosmic funk of ‘Golden Sphere’ and ‘Teleforce’ to the strange and dark spheres of ‘Ausser Betrieb’ and ‘Thronic’, the two producers present a captivating outlook on the electro sound, bound to move bodies and transport minds. Here is my new podcast for Future Shock (Andrea Benedetti Radio Show) at U-FM radio, liveset recorded in Berlin at Suicide Circus for MinimalRome 15 years celebration party. Dalmata Daniel continue their work with the 7th release in the main flow, and this time they assigned the new experiment to the Teslasonic lab. In this research, Teslasonic examined the case of ’Quantum Paradox’ with the help of another well-known scientist : The Hacker. The code name of the project is DD007, in which Teslasonic, a citizen of the world, has invented certain new and useful tracks. These tracks are not just sounds, they also create visions, because while we’re listening to ‘Quantum Paradox’ and ‘Aether’, we feel the energy of the melody, and in our minds, we travel with them through space and time to discover new things. Furthermore, through Blitz Ciphers’ and Unified Field Theory’s dark and raw electro sound, we find ourselves in the cold and sterile laboratory of the spaceship, where the miracle is born and science is cultivated. However, thanks to The Hacker, we get a new viewpoint, as in his remix, he re-examines the main theme and at the same time he invents something different – a perfect echo of the original ’Quantum Paradox’.